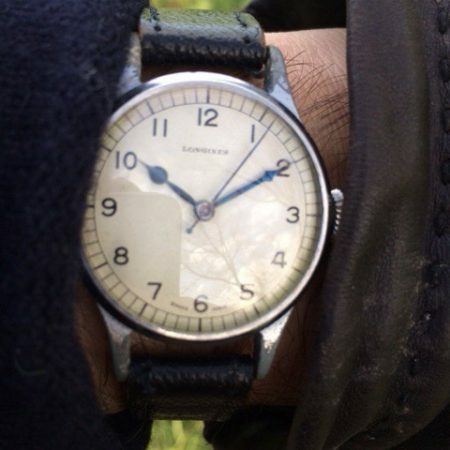 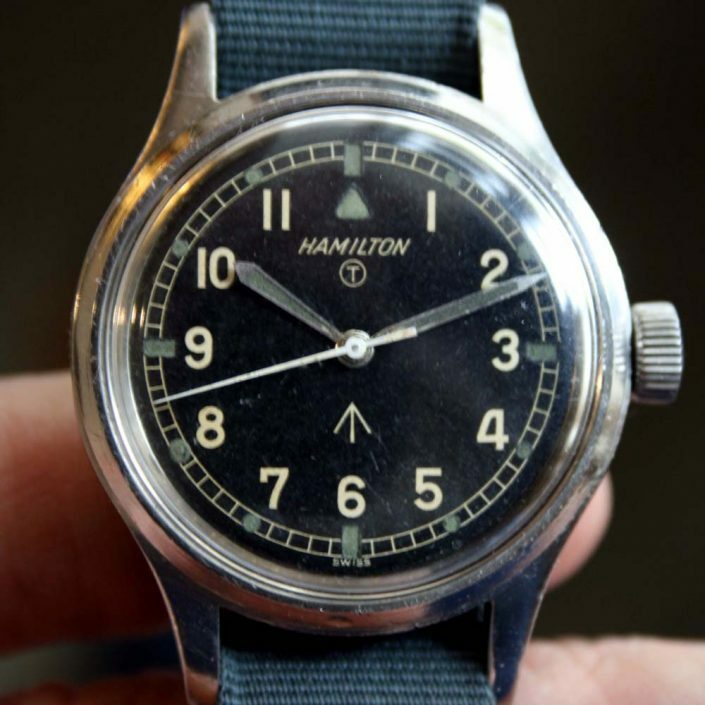 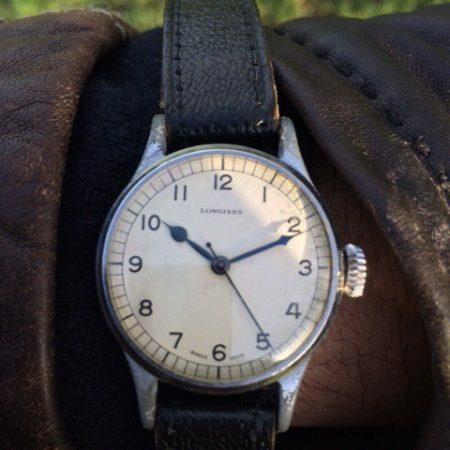 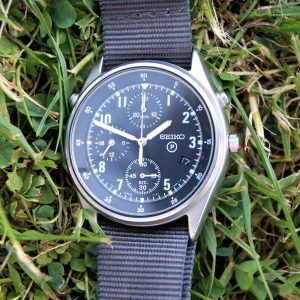 1960 Hamilton Mark XI RAF Pilots Watch with Rare Original Tritium Dial Early Non-Hacking Version with Military Issue Markings 6B-9101000 on the Case-Back and Fixed Bar Military Lugs. Beautiful original military dial Hamilton RAF Pilots watch. 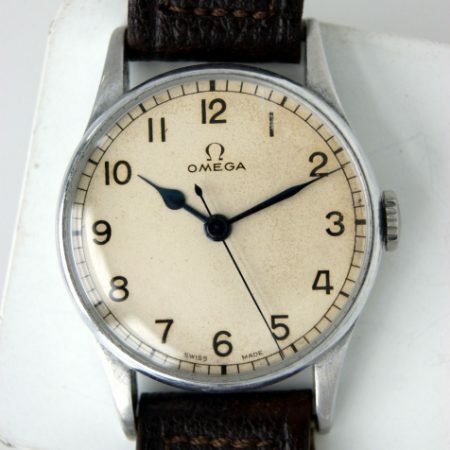 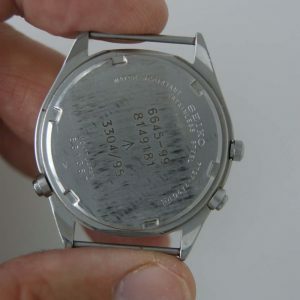 One of the earliest versions which started in 1959 at 0001 and this is serial number issued 0376. 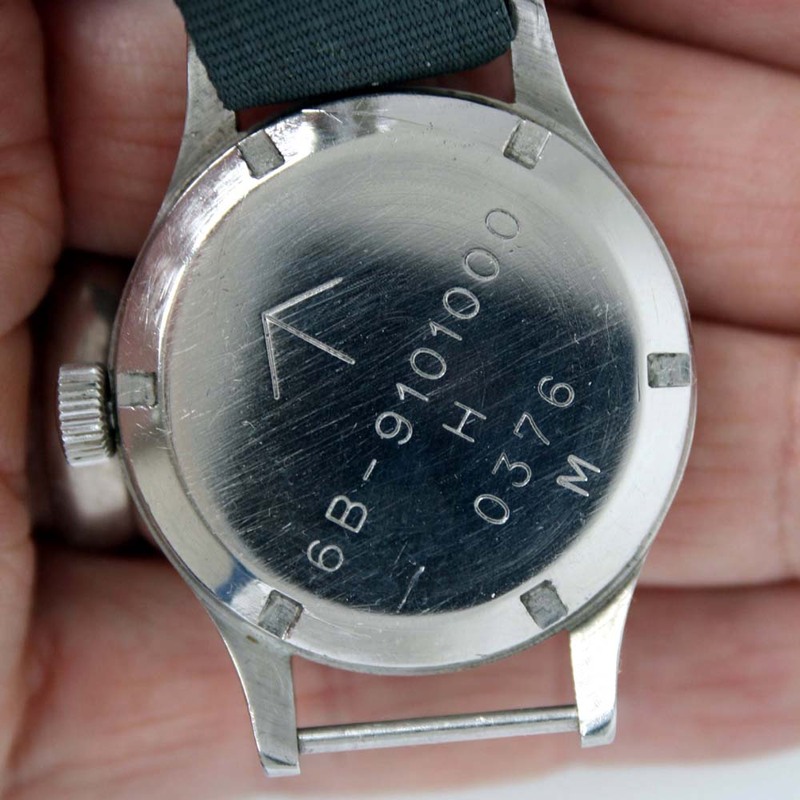 It has a signed non-hacking Hamilton cal. 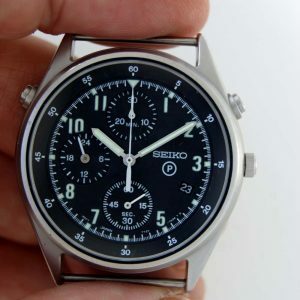 75 movement.